I’ve seen on the web that there’s a big ‘hooray’ out there for McDonald’s deciding to offer their Shamrock Shake at ALL their locations this year. That’s fabulous – except, do you know how many calories are in a Shamrock Shake? How about the sugar? I promise I won’t lecture about it! It’s just one of those things that I’m sure most of us consider – whether you’re trying to lose weight or just be healthy. Well, I wanted to share the Shamrock Shake I had today. I’ll give you a preview….first, it was rich, thick, creamy and sweet. And oh-so-yummy! Second, it was only 230 calories and 12 grams of sugar BUT it had about 20 grams of protein and countless fruits, veggies, and wonderful whole food nutrition. Whaaaat? Yeah you read it. But let me tell you again, this was just like a dessert, not like a health shake! That’s it. The peanut butter & jello mix make it sweet and creamy (and pretty healthy). 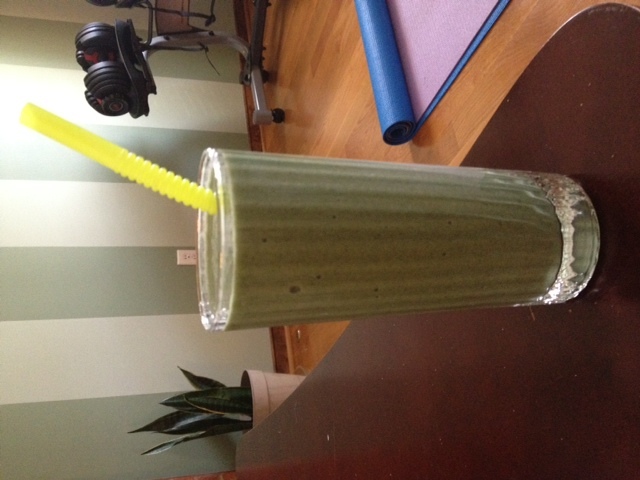 And the Shakeology makes it super healthy and even tastier. You could add a little more pudding mix if you’d like it even creamier tasting. So tell me, since we’re talking about sweets….what’s your favorite dessert or biggest indulgence?